The largest leading Asian online gaming company. The bookmaker got the Operator of the Year Award in 2009 and 2010. The company operates in Asia and Europe and has license by the First Cagayan Leisure and Resort Corporation in the Philippines as well the Government of the Isle of Man. The mobile bookmaker may offer about 500 events in a week. They cover all major leagues and sporting events worldwide. They also offer live match updates and instant confirmation of winnings. Payouts are fast and easy. 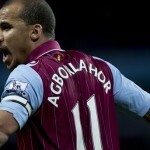 Online betting is available all day round. Available currencies: Australian Dollar, Euro, British Pound, Hong Kong Dollar, Japanese Yen, Malaysian Ringgit, Renminbi, Singapore Dollar and Thailand Baht. 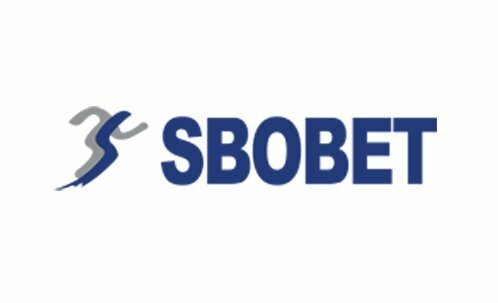 Sbobet offers the following deposit options: ClickandBuy, eNETS, Diners, Envoy, Meastro, Skrill (Moneybookers), Mastercard, NETBANX, NETELLER, Ukash, Telegraphic Transfer, Visa, Visa Delta/Debit, Visa/Mastercard Visa Electron. Clients can submit a money withdrawal to get funds from their accounts through the payment service provider you have used during your money deposit process. The clients are allowed to make only one request within 24 hours. Depending on the payment type utilized, the time taken for you to get the withdrawal, can range from a few hours to several days. Sbobet offers a great range of sporting events for bettors. While they try to offer a wide coverage of all possible sporting events, it should be said that not all possible events are available for betting at a certain moment of time. The clients are allowed to change the kind of odds utilized in the odds page for different betting markets by changing the preferences. The following odds types are available: European, Malay, Hong Kong and Indo. They also provide statistical data on events to refer during betting. Founded in Asia, they provide great Asian Handicap Betting odds which can add to the excitement of conventional odds betting, because it eliminates the possibility of the draw outcome. Sbobet offer the best priced odds among the biggest sportsbooks around the world. Every time a client places a bet, the minimum and maximum bet sum for the certain event is displayed at the bottom part of the bet ticket. 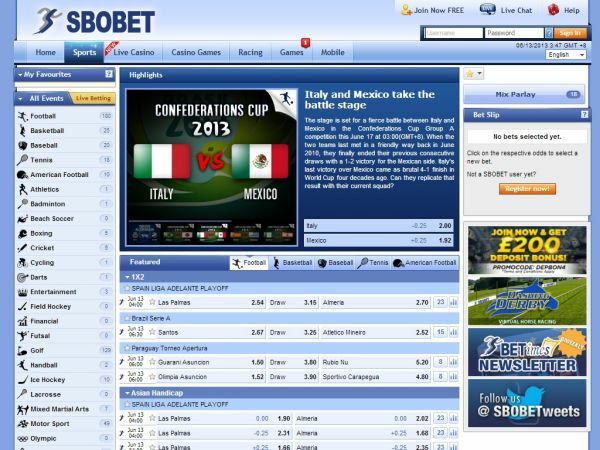 After creating an account to test Sbobet, we realized that the limits are higher than the European ones. If a client wants to set the minimum limit to limit the total stakes, he gets a chance to utilize the betting budget for this purpose. Sbobet offers an amazing option for live bets with Asian Handicaps. This allows to place bets on the sporting events running at the same time a client is browsing the odds. The prices change dinamically during live betting and change according to the course of the particular event, providing doubly the excitement as a client gets to monitor the sporting event as it plays. All data displayed such as current game scores, elapsed time, is updated in real time. Events offering live bets are signed by a flashing “Live” tag in the special menu and has a flashing icon in the special market menu. 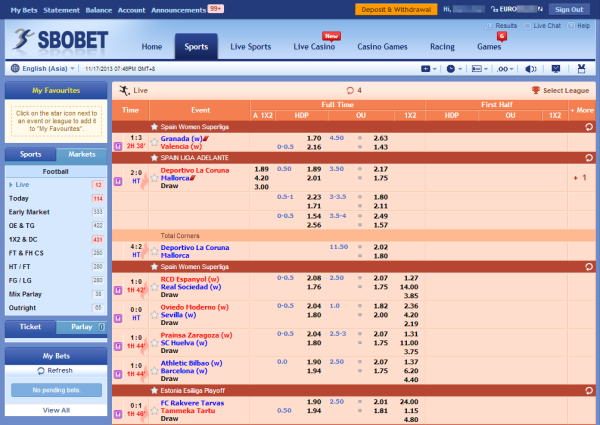 Live sporting events are highlighted in the odds page in red background colour. When placing bets on live events, the clients’ bets are not accepted immediately once they confirm their bets. Instead, there is a short delay during the processing of the live bet and the status is kept as “Waiting”. Clients may contact them via chat, e-mail, phone and skype. They usually reply with speed and friendliness.